At RVA City Painters, our Richmond painting contractors are here to help you with all your property beautification needs and goals. Our professionals are adept at both interior and exterior painting services. We proudly serve both commercial and residential clients. The one constant in everything we do is our goal to achieve the highest levels of customer satisfaction. When you hire us, you will receive top notch communication, a fair price, and a commitment to quality services. We will bring this dedication to excellence to task for you. If you are planning a painting project in Richmond, call RVA City Painters today. Our courteous and polite staff would be happy to take your call and to assist you in any way that we can. Our experienced house painters and commercial painting specialists can answer any and all of your questions. We can schedule your appointment today. When you paint the exterior of your home or business, you want to achieve three distinct things. First, you want your property to look its absolute best. 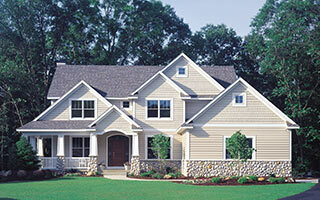 Second, you want the coats of exterior paint you use to protect your home from the elements. Third, you want this beauty and protection to last as long as possible. When you hire our house painters, you are guaranteed to achieve all of these goals. We are the local professionals homeowners trust for quality exterior painting in Richmond, VA. We achieve stunning, long-lasting, and protective finishes for the exteriors of both homes and businesses throughout the Richmond area. We also provide powerwashing to help prepare and clean the exterior of your property for flawless results. 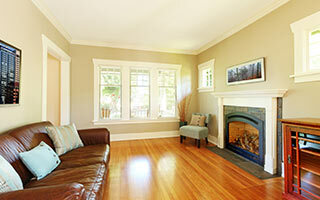 Painting the interior of your residence is highly rewarding and fantastically enjoyable. Our Richmond painting contractors can help you make the absolute most out of the effort. We can provide you with expert advice about the paints and colors that you choose for your interior painting project. We will prepare and repair all surfaces before applying paint. Lastly, we will inspect and clean the entire area. You and your family are guaranteed to be completely satisfied with the results when you hire us for interior painting in Richmond, VA. The way in which your commercial property is painted has a huge effect on the productivity and profitability of your business. 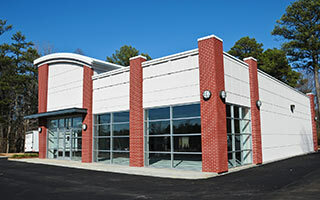 Our commercial painting contractors in Richmond can help vastly improve the look and feel of your property. After our efforts, your business will present a professional and inviting image to your potential clients and customers. Your work spaces and hosting areas will look their absolute best. The wood accents and fixtures around your property are something to be cherished. The natural beauty, grain, and warm colors of wood are truly unsurpassed by any other building material. In order to protect and preserve this look, you need to routinely stain these distinctive features of your home or business. 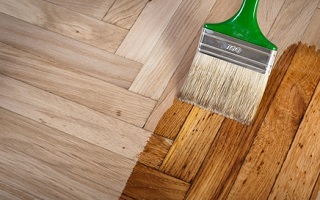 Our Richmond wood staining contractors are here to help you in this regard. In order to provide our customers with the highest quality painting services, our professionals must be adept at all manners of surface repair efforts. 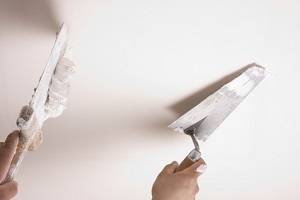 If you are trying to rejuvenate the original beauty of a damaged drywall, our team can help. We are highly skilled at all types of drywall repair. 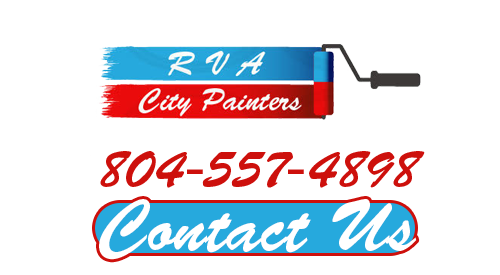 At RVA City Painters, our Richmond painting contractors are honored by the fact that so many local residents and businesses have trusted us with their properties over the years. In each and every project, we strive to honor that trust by working our hardest to provide each of our customers with the highest quality services possible. During your project, we will treat our efforts as if we are performing them on our own property. In the end, we seek to form long lasting and mutually beneficial relationships with all of our customers. Through the amazing services that we provide, we seek to convey the fact that you can trust us with all your present and future property beautification needs. Together, we can help make your property look exactly how you want it to. If you are looking for a Richmond painting contractor then please call 804-557-4898 or complete our online request form.